According to the Wrestling Observer, The Undertaker will be working the post-WrestleMania 35 PPV, which is set to take place on May 3rd in Saudi Arabia. As we have noted before, The Undertaker is an integral part of WWE’s deal with Saudi Arabia, as the Saudi Arabia officials are big fans of Old School Legends and “The Phenom” is the biggest active Old School Legend in the WWE today. No word yet on who The Undertaker will be facing at this PPV. Speaking of The Undertaker, we recently noted via Slice Wrestling that “The Deadman” is interested in facing “The Demon King” version of Finn Balor at WrestleMania. 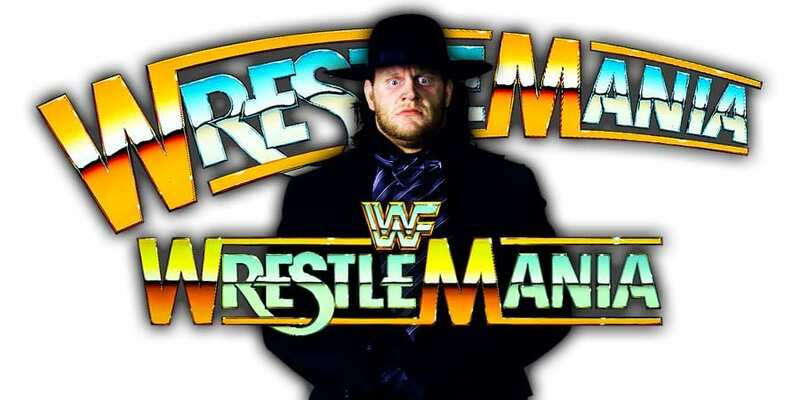 Speaking of The Undertaker’s WrestleMania 35 status, he will be making an appearance at WrestleMania 35 and word going on is that he’s going to have an impromptu match with Elias (which will be his record 27th match at WrestleMania). Another indication regarding The Undertaker’s in-ring return is that he was recently at the WWE Performance Center. According to PWInsider, The Undertaker and his wife Michelle McCool were at the Performance Center earlier this week and it is being speculated that Taker was there to train for his in-ring comeback. The Undertaker last competed in a WWE ring back in November 2018 at the WWE Crown Jewel PPV, where he teamed up with Kane to take on D-Generation X (Triple H & Shawn Michaels) in the main event.